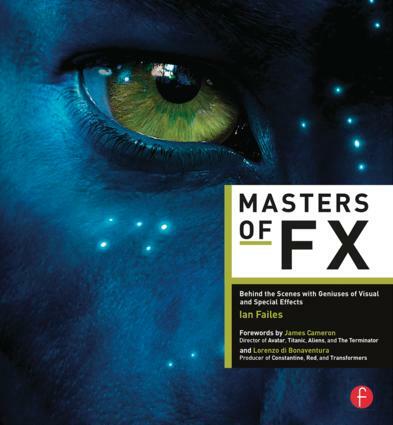 It would be rare these days to find a film that did not in some way depend on the magic of visual effects, from the raging computer-generated dinosaurs in Steven Spielberg's Jurassic Park, to the fantastical worlds of Tim Burton's Alice in Wonderland, and the photoreal tiger and ocean in Ang Lee's Life of Pi. Through interviews with 16 of the leading effects pioneers from around the world (see list below), author Ian Failes explores the making of some of the most memorable film sequences ever produced, showcasing the shift from practical to digital magic with original behind-the-scenes imagery, shot breakdowns, and detailed explanations of some of the secrets behind the making of cinema's most extraordinary creations. Ian Failes is a freelance journalist specializing in visual effects and animation. Based in Sydney, Australia, Ian has a background in law, but found his passion watching and writing about films and visual effects.